Broome is the old pearling town surrounded by the brightly coloured jewels of the Dampier Peninsula. The red desert of the Kimberley Ranges and the bright blue, clear-bottomed Indian Ocean. And nothing else - there's really nothing but natural beauty for miles around. It is around two thousand kilometres from here to the nearest city. 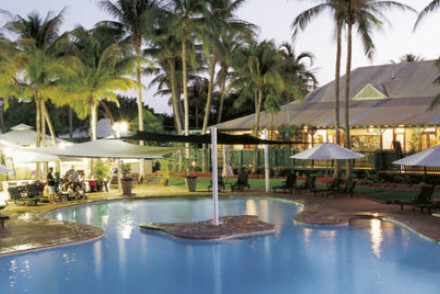 The best places to stay in Broome range from the luxurious resorts of pristine Cable Beach to campsites in the desert. Broome's pearling heritage is what put this place on the map and its cemeteries are a respectful reminder of all those lives lost. The cemetery looks out over the flats into the Indian Ocean, it is an especially atmospheric place to be during one of Broome's mesmerising sunsets. These days Broome is still a working pearl port, but in modern sea farms, which are definitely worth visiting if you're interested in their precious bounty. The multicultural heritage of the town is pretty obvious outside the cemeteries too. There's a big Chinatown for such a small town, right on the shore of Roebuck Bay. Visit some of the old pearl shops and dealers where you can still find some of the world's best pearls. The older parts of town date from 1880, but the whole place has a weathered, lived-in feel. The elements tackle new buildings pretty quickly. But that's what you get for building in the hard ground on the edge of nowhere. At Gantheaume Point at low tide you can walk in dinosaur's footprints, scored deeply into the rocks even after 130 million years. When the tides are right even more of the sea's bounty is exposed: a couple of creaking pearl wrecks, as well as some WW2 vessels sunk in one of the few Japanese air raids on Australia. Broome is a fascinating town from a historical perspective, whilst the best places to stay in Broome also offer visitors a fantastic opportunity to relax after a day of exploring. The Cable Beach Club Resort & Spa is a sophisticated spot along the endless pristine sands of Cable Beach. Boasting original artwork by Sidney Nolan, a mini golf course and Australia's first L'Occitane spa. This is a large resort with 245 rooms, so there's plenty of family friendly facilities, including separate kids and adults pools. Kimberley Sands Resort and Spa offers five star facilities - think luxury rooms, marble bathrooms spa and much much more - but at exceptional prices. You can book a double room here from as little as £55 per night! 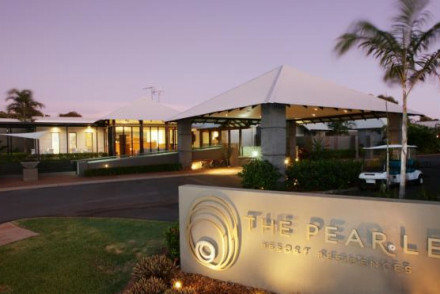 Aptly named The Pearle of Cable Beach, is a luxury resort situated steps away from the white sands of Cable Beach. Large, elegant rooms with private terraces and pavilions with own kitchen, dining and lap pools. A spa enables total relaxation, whilst a tropical oasis surrounds the outdoor infinity pool. Romantic with a family feel. 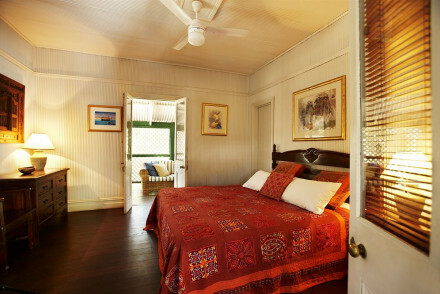 McAlpine House is a relaxing hotel with a slight colonial feel. It has eight elegant, spacious bedrooms and stylishly designed suites feature private terrace patios and garden views. Minutes to the beach and town centre. Relax with a drink on the veranda, or chill out by the pool. If you'd prefer your own space, don't hesitate to visit our online partner Booking.com for a range of properties both on the beach and in the town centre. 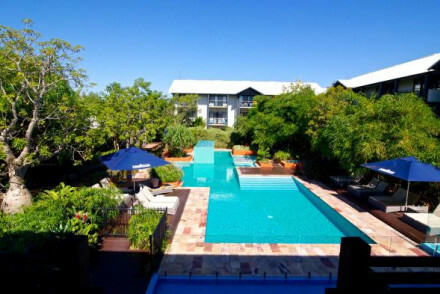 Fly to Broome International Airport located a mere 1km (0.6 miles) from the centre of town. The airport has connections to most major cities within Australia including Sydney and Melbourne. Expand your search to view all our recommendations in Western Australia. The most sophistocated place to stay on Cable Beach, this resort boasts original artwork from Sir Sidney Nolan and Australia's first L'Occitane spa, as well as a gym, tennis courts and a mini-golf course. A water playground and separate kids and adults pools make this a family friendly option. A luxury resort situated steps away from the white sands of Cable Beach. Large, elegant rooms with private terraces and pavillions with own kitchen, dining and lap pools. A spa enables total relaxation, whilst a tropical oasis surrounds the outdoor infinity pool. Romantic with a family feel. A relaxing hotel with a slight colonial feel has eight elegant, spacious bedrooms. Stylishly designed suites feature private terrace patios and garden views. Minutes to the beach and town centre. Relax with a drink on the veranda, or chill out by the pool.